With so many people working long hours and having busy lives it is easy to fall into the trap of eating junk food and take aways. With a little forward planning it is possible to come home to the welcoming aroma of a cooked meal. By having a meal in your oven slowly cooking throughout the day your family will be eating dinner within minutes of being home. If you have a large oven it may be a waste of money to have it on all day just to cook one casserole. Why not purchase a slow cooker? They come in varying sizes for single people, couples or families and also in different price brackets. Ideally they should be able to hold enough food to suit the size of your family. For those who own an Aga or a range that quietly ticks over all day should be used to the maximum. For many an Aga type cooker is just another must have fashion item for the kitchen but they are ideal for cooking your meals and better than a slow cooker. Brown your meat to seal before packing it into a large casserole dish along with lots of tasty vegetables and stock. The heavy iron type casserole dishes are best for these types of cookers. If you are not happy with leaving a slow cooker cooking while you are away from your home during the day why not set it to run overnight? By morning you will have a meal that can be reheated in the evening when you are home from your job. Also, bread makers are ideal for those who work. Set it to run overnight and in the morning you have fresh crusty bread to make your lunch time sandwich. Are you too busy to weigh out ingredients for your bread maker? Then purchase ready mixed bread ingredients. These come in many tasty varieties such as wholemeal, granary and good old fashioned white bread. Plan your cooking for the week. List meals you can cook slowly and purchase the ingredients so there is no last minute shopping needed. This will save you money as you will not be popping into the supermarket every day and being lured into purchasing items that catch your eye that you don’t really need. If you have a spare day why not have a big cooking frenzy and make lots of meals that can be frozen down? 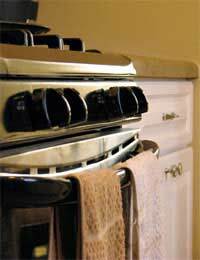 This will save you electricity or gas and the frozen meals can be quickly reheated when needed. Why not make a larger meal perhaps twice as much as you need and freezing half to use another time. This again will save you money and quickly fill your freezer. Many people eat too much so by freezing what is not used you will also be thinking of your weight. There are many recipes that can be turned into slow cooking recipes. Any casserole, curry or stew can be cooked slowly in the oven or a slow cooker. This will tenderise meat and enable you to use cheaper cuts of meat that through slow cooking will give you meals that melt in the mouth.